Im a long time Pelican on the Porsche side, and a fellow Pelican directed me to this forum. 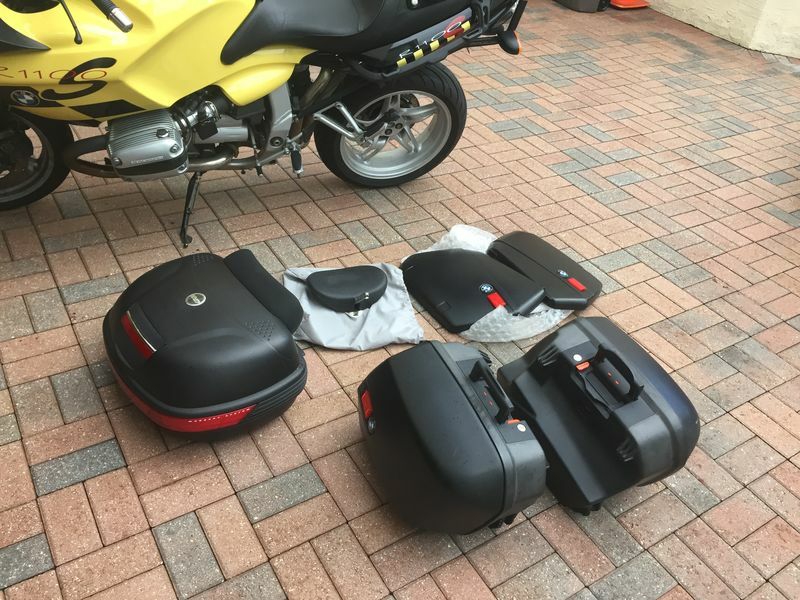 If someone is interested in bike as is with or without the bags, let me know. Last edited by lada03; 08-14-2018 at 04:13 AM..
what are you asking as is? Sorry to hear that, man. Sounds like you have an input shaft spline failure. It's a huge systemic problem with the six-speed oilhead transmission. (Note: Someone will pipe up in a few minutes claiming it's overblown and actually quite rare, despite the literally dozens of occurrences on this tiny corner of the internet. It's NOT overblown and it's actually quite common.) If you repair the transmission it will happen again in another 46K miles. Your best bet if you want to repair it is to buy a known-good used transmission and a clutch disk with an extended hub. You can probably fix it for $600-$700 worth of parts. It takes some tools and a bit of mechanical skill, but it's not unpossible. Plenty of threads here on the forum, and more importantly, help from others who've done it, to guide you through the disassembly, repair and reassembly, should you choose to fix it. It's not that difficult. A bit time-consuming for a novice, but doable. I found a good used transmission for $500. But dont have the time or desire to try and swap the trannys. Its a shame because the bike ran perfect. Why not look into having it done by a reputable shop? A highly qualified independent repair facility may be the way to go. And I agree it is an input shaft failure. Last edited by buzzerbee; 08-14-2018 at 06:05 AM.. I think its time to move on. 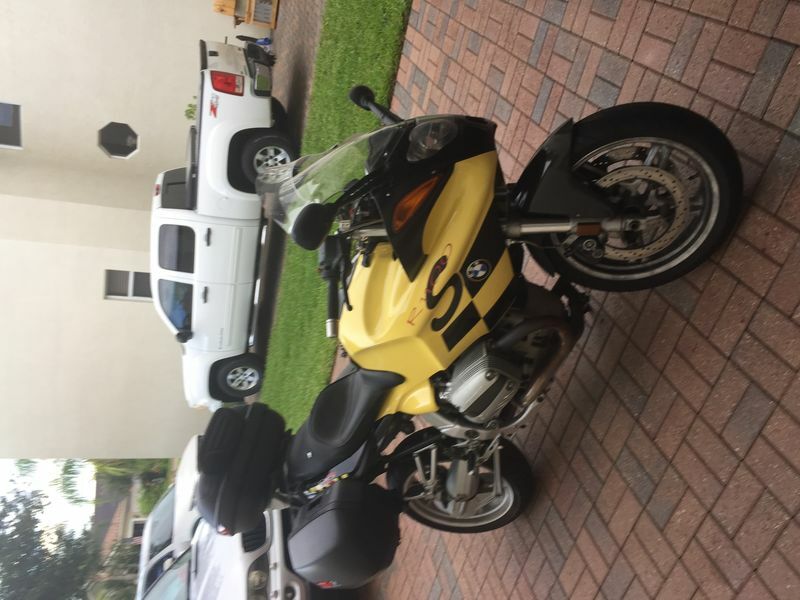 I enjoyed the bike, it was good to me. Well, good luck with the sale. You may reconsider after you find out how much you can get for it. They are interesting bikes, but they were never big sellers and the used market for them is extremely soft. I doubt you can get more than a grand for it in its current condition. I saw your add on craigslist yesterday & thought spline failure not trans. It's a fairly involved repair & think your price was too high for that kind of repair. I realize your bike is otherwise in good shape but still too much money. This is the kind of investment you make when you want to keep it because they're not selling for much if any above what you want in running condition. Best of luck with the sale. I'd fix it myself, just a clutch replacement was quoted over a grand years ago not including ripping open & replacing the trans shaft, seals etc. The other option is to part it out, possibly the most money to be made. 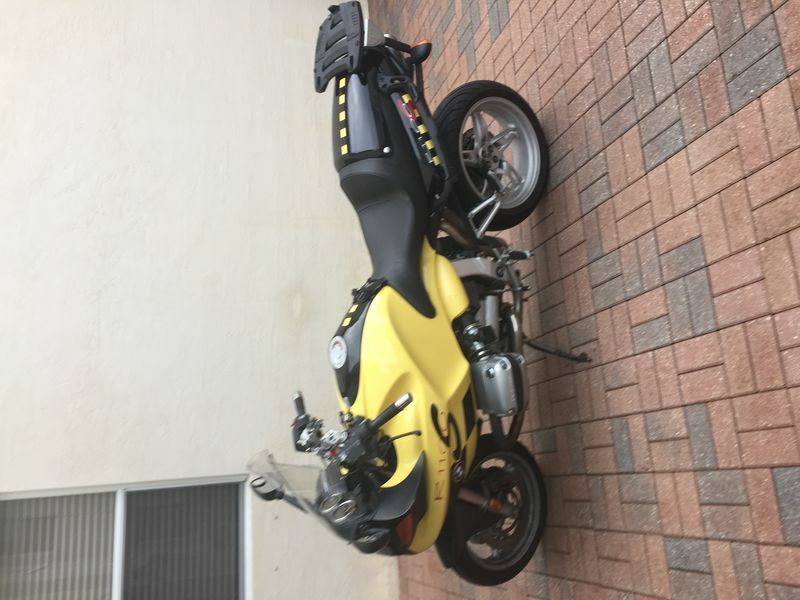 Sort of a dilemma with the bike being worth what it is. Last edited by sgoodwin; 08-14-2018 at 11:48 AM..
It’s far too nice to part out. I would like to have a project like this but I’m on the wrong side of the pond. Does that mean that the new replacement output shaft is still of poor quality? I assumed that if/when mine goes I would replace the shaft and clutch (with the modified disc) and everything would be fine from then on. Why aren’t the replacement shafts made from better material as BMW must be aware of the failed ones. If the answer is something to do with being ‘off centre’ then I will be truly stumped as I couldn’t follow that discussion years ago and it boiled my brain! I agree, I wouldn't part it out but some farkles are still pricey plus lots of good parts. Yes the off center thing can come back to bite you but the longer clutch spline helps it last longer. Unfortunately though the clutch plates are Chinese manufacture & of unknown durability. I think the clutch hub made by a member here was a better idea as it could be adapted to different clutch plates. Oh & BMW don't give a damn about no spline shafts. There is some debate about the underlying cause of the problem, but a majority of people think it's due to a misalignment of the transmission. In many cases, mine included, the owner has spent thousands of dollars repairing a transmission only to have the same thing happen again at the next mileage period. So simply replacing the input shaft and clutch disk will not work in many (most?) cases. There have been some success stories. There was a guy who measured the misalignment and created some offset dowels to replace the alignment dowels. that seemed to work for him. Other people have used a clutch disk with a longer hub. That seems to be working for a few people, but the original misalignment is still there. IMO your safest bet is to find a used transmission with good input splines. The fact that it's used and the splines are good means (hopefully) that the transmission was built correctly and there is no misalignment. Even so, I'd spend the money to get a disk with the longer hub. Looks good, those shafts look like new, I don't see any wear showing usage, rebuilt? Also wonder why the casing is beat up on the output side. Might ask them about it. Otherwise it seems a solid deal. That & a clutch makes it go again. As Jim says go for the longer clutch hub disc. Last edited by lada03; 08-14-2018 at 04:15 PM..
Last edited by lada03; 08-15-2018 at 10:44 AM..